Amazon’s Echo devices kicked off the smart speaker craze, with a variety of options to fit any connected home. The Amazon Echo Kids Edition is no exception, bringing the smarts of the rest of the lineup to a kid-friendly package, and today you can get one on Amazon for $35—half off a list price of $70 and its lowest price ever. This round, compact smart speaker comes with the power of Alexa built in, so kids can take advantage of voice control capabilities, as well as Alexa’s expanding skill set. Kids can ask their Echo to play music, control smart devices, tell jokes and stories, answer questions, and more. To give kids access to plenty of family-friendly content, this smart speaker comes with a one-year subscription to FreeTime Unlimited. In addition, it comes with a two-year warranty and protective case to help it keep up with the rough and tumble life of kids. This Echo also comes with plenty of benefits for parents, such as intercom-style connectibility with other Echo devices, and parental controls that let you set quiet times, limit contacts and content, and more. 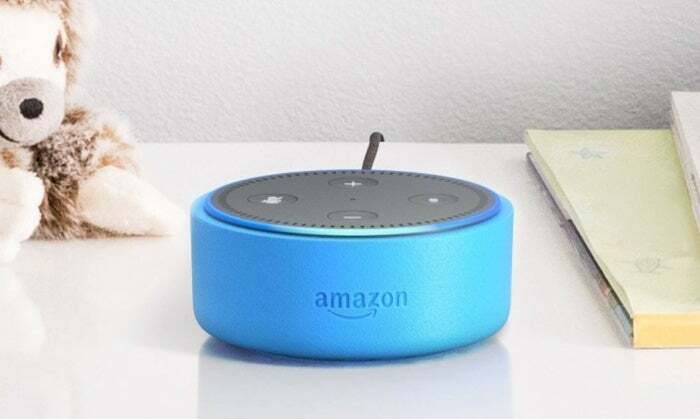 We haven’t tried the Echo Dot Kids Edition yet, but we love the standard version, and today’s sale should bring those same great features to the whole family on the cheap. This story, "Amazon's Echo Dot Kids Edition is just $35 after a 50 percent discount" was originally published by PCWorld.